I honestly didn't know I would ever be caught dead wearing in a fanny pack. But -Never Say Never! Over the years the fanny pack has gotten a serious facelift- only barely resembling your grandmother's 1980s not so snazzy waist belt today. Kourtney Kardashian for example was spotted in the most adorable Chanel fannypack last year, which was possibly the first time I ever considered them remotely fashionable. Then I came across Rachel Zoe and Alexander Wang updated editions, which pretty much revolutionized the concept of a fanny pack. I think my main concern was how unattractive and oddly shaped the bags were, their purpose being secondary for me. Today however you can find some very refined versions; neatly structured and available in chic variations such as prints. 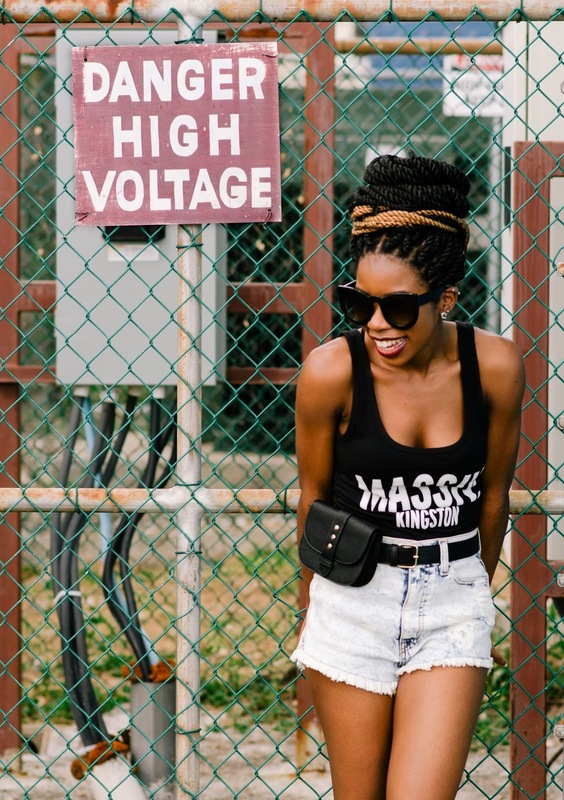 I think I really warmed up to the idea of owning one when I came across a Nasty Gal's "belt bag" earlier this year. Unfortunately this discovery came just a few weeks before Coachella and considering its utility and trendy appeal, it was sold it in no time. 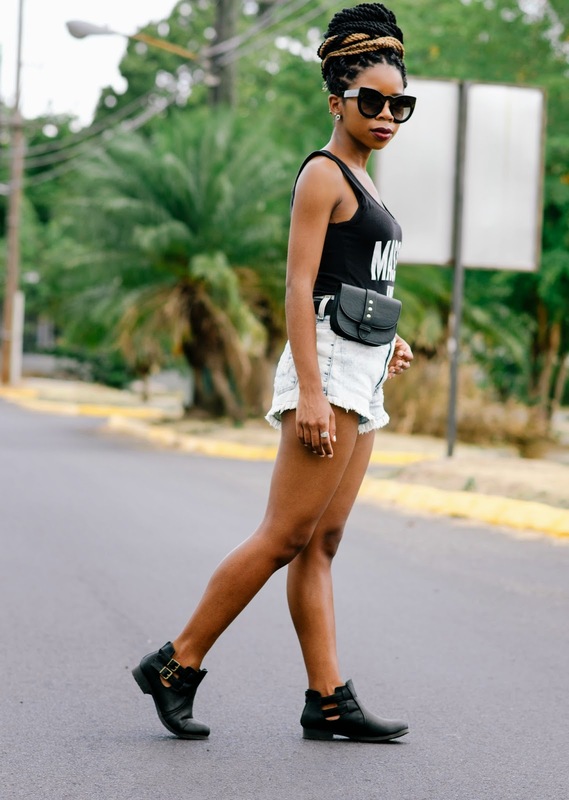 To show off the goods ^.^ I paired my belt-bag with a tank, distressed/acid wash high-waisted shorts and booties. I can honestly say this is one of my favourite accessories this summer simply because of how useful and stylish it is. If you're on the go and need just your phone, money and lip balm, you'll find this accessory pretty handy! I'm going to take the liberty to say I highly doubt these new age fanny packs will become unfashionable any time soon. And even if they do I'll proudly be the lone wolf in the pack rocking my fanny- BECAUSE I'd take a (chic) fanny pack over a gaudy handbag any day. 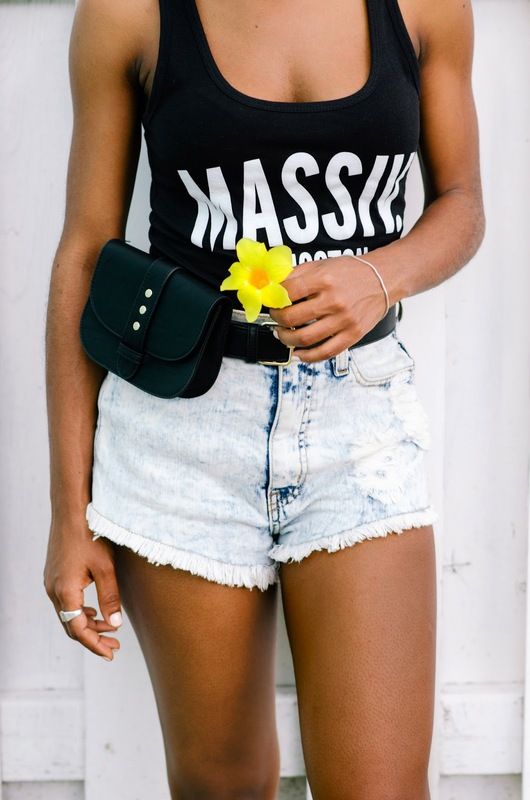 Fanny Pack: Forever 21/ Currently sold out but Nasty Gal restocked! I love your outfits! you look so casual, but chic! and sunglasses are awesome! LOVE it! Fanny packs/belt bags are my new fav thing. This was is pretty amazing! Thanks Nikki! Agreed the new ones I've seen surfacing are so encouraging me to buy another!! !